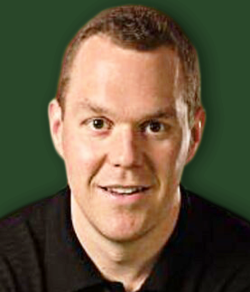 Steve Merril is on an AWESOME (309-268 ATS) All-Sports Run! All-Sports is up +306 games the past five years! Learn while you earn with detailed analysis every day! Steve Merril is considered one of the best sports analysts in the nation. He credits his success to employing a variety of different handicapping techniques such as statistical analysis, trends and systems, and fundamentals such as matchups and emotion. By relying on numerous handicapping methods, Steve continues to beat the pointspread on a consistent basis in both college and pro football, basketball, baseball, and auto racing. Steve was the first person to ever win the prestigious $100,000 Insiders Handicapping Invitational and his unique knowledge and understanding of the gaming industry is what separates him from other handicappers. Steve has spent the past 20+ years studying the odds and probabilities associated with all forms of gambling such as poker, casino games, and even the stock market. Steve has transferred this unique knowledge and understanding of statistics and probabilities into the sports world, which has enabled him to win on a consistent basis. The most popular part of Steve Merril's award-winning selections is the fact he backs each game with a full detailed report and analysis. You get a strong selection, plus the reason why the play will win. This includes detailed statistical analysis and Steve's powerful team trends and super systems. You will learn while you earn with Steve Merril's daily selections as each report is packed full of detailed information. Join forces with the most knowledgeable gaming expert in the industry and have your most profitable season ever.